If you’re looking for information about Breslow Home Design Center, you needn’t look further. This family-run business has been in operation for three generations. Providing quality service and products for nearly 100 years has given us incredible insight into the needs of our customers. The recipe is simple. We deliver customized solutions that take into account people’s individual needs. We know our stuff and as a result, you’ll get the best advice in the business, saving you time, money and hassle. When you call our office, you’ll speak to an actual person with many years of experience. They’ll sift through your needs and budget to make sure you get the solution that’s right for you. One of the biggest issues people have is diving into large purchases with inadequate information. As they cross generations, owners of a family business struggle to keep their family in harmony and their family enterprises fruitful. Few family enterprises survive more than one generational transition intact. This will never happen to you at Breslow Home Design Center because we know a happy customer is a customer for life! For example, there’s nothing worse than spending hours looking through paint swatches for the perfect shade of yellow, only to bring cans home to find out it looks completely different on your walls. This happens all the time. The good news you can avoid mishaps such as this by meeting with one of our paint professionals in the showroom or at your house. Book a consultation before you purchase your paint, window treatments or shade system! It can make all the difference in the world. 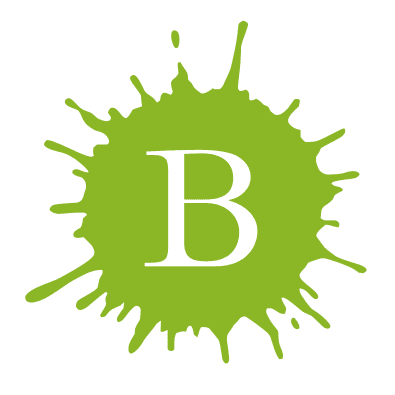 So I bet you want to know a little bit more about Breslow Home Design Center History! 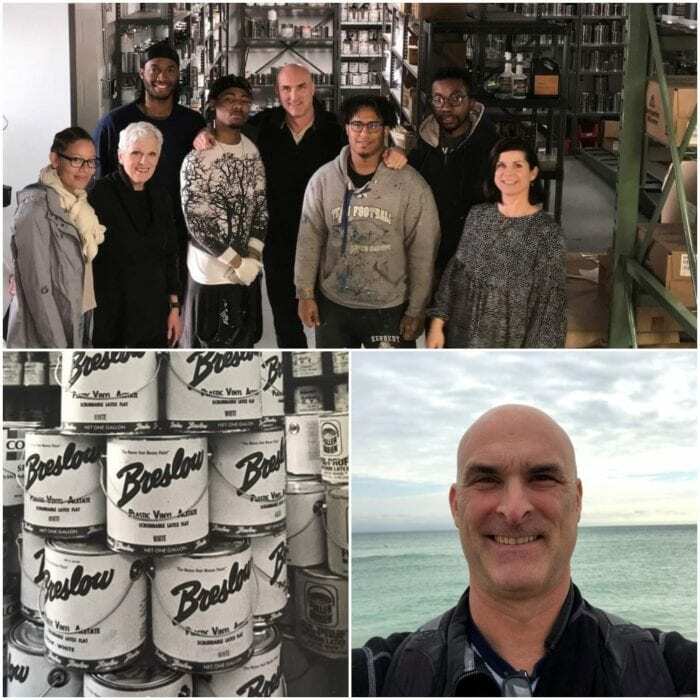 There aren’t a lot of stores that have managed to weather the Great Depression and World War II, but Breslow Home Design Center is one! Louis Breslow, his wife Rose and brothers Saul and Izzy emigrated from Russia in the 1900s. 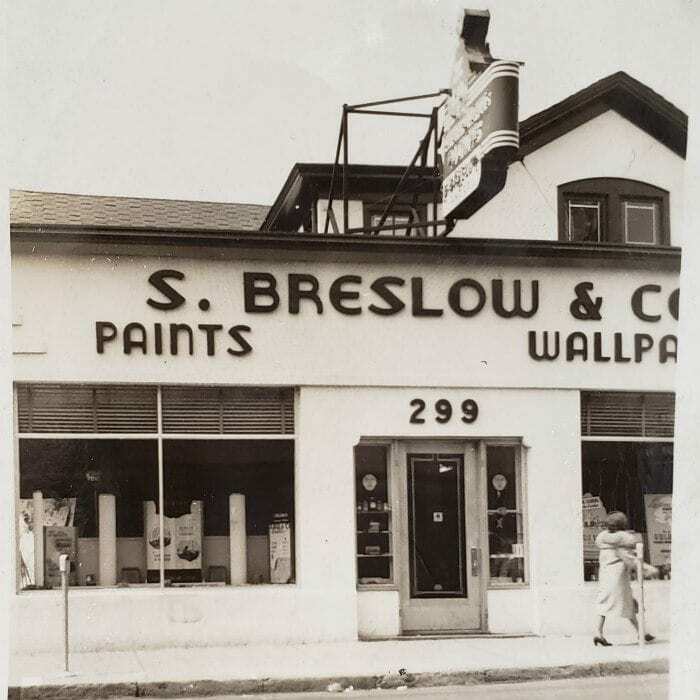 They founded the first brick and mortar store, Breslow Paint & Wallpaper, in Passaic, NJ in 1924. The brothers were painters by profession so this was a natural move. Not be deterred by relocating to a new country, in 1943 Louis branched out on his own. He opened a store in Morristown, NJ with his young family. If you think this is the end of the story you’d be wrong! In the 1960s Louis and his son Jerry expanded the business to further locations and a few years later his daughter Sharon and her husband Paul joined them. They went on to open even more storefronts throughout the 1970s – business was booming! This was truly a family operation. Sharon and Paul’s children Dana and Jason Shaw worked in the store stamping color cards, as their grandparents, mom, dad, and uncles did before them. They are the third generation to move Breslow Home Design Center into the future! Paint is clearly in their blood. …and this tradition remains in place to this day! They have a store in Chester, NJ that caters to families they worked with for generations. But that’s not all! Dana and Jason continue to explore cutting-edge innovations in their industry. Their goal is to continue to provide bespoke customer service in the paint industry with a view to keeping with technology and the demand for products that beautify the homes they serve. In the 1980s the appetite for home design grew exponentially. …and they did just that. Breslow Home Design Center identified this burgeoning market and started to offer customized window treatments to answer the demand – which expanded into retractable shade solutions as time moved on. Paint and shade solutions go hand and in hand when you’re designing a home. When you first purchase a place to live often it’s a shell of what you dream of. You, of course, will want to put your stamp on it! The right color of paint can utterly transform a space. If you have a living room that’s painted brick red, you can completely open it up by choosing something lighter like Chantilly Lace, by Benjamin Moore. The color you select has a huge impact on the feel you want to achieve, that being said; lighting is equally as important. Find the Shade Solution, Window Treatments or Paint That Suits YOU! There are all kinds of routes you can take from blackout blinds to beautiful sheer Duette Architella Honeycomb shades. All of which beautify your space while cutting your energy bill. So why stop there? Breslow Home Design Center didn’t! …all the while decreasing your energy consumption. Check out some of our backyard makeovers right now! If you think this is the end of Breslow Home Design Center’s innovative approach, you’d be wrong! Jason Shaw took a break from the family business to get his MBA from the Wharton School of Business and went on to work for the behemoth of e-commerce, Amazon. 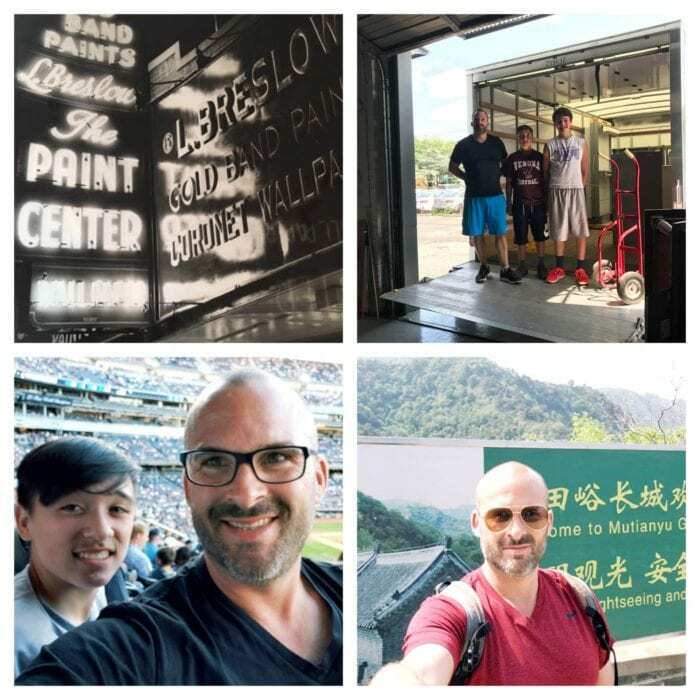 These experiences solidified his connection to the internet and his desire to expand Breslow Home Design Center’s reach. 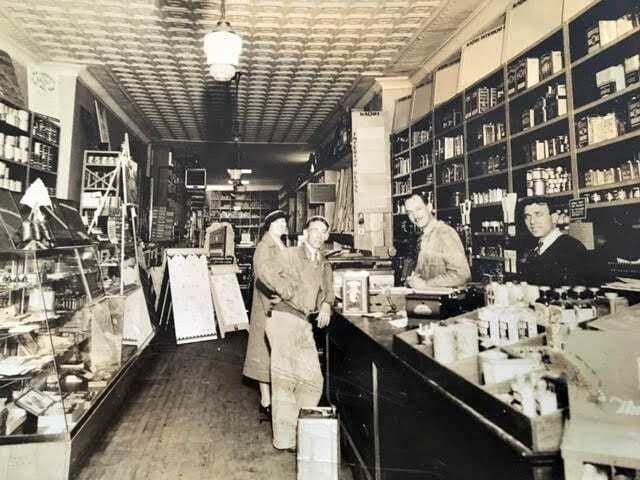 Local sales have always been the core of this family business. Unfortunately, if you live outside the New Jersey/New York area you won’t be able to visit our showroom or get one of our professionals to visit your home for a free consultation. This is why the idea for MyPerfectColor.com was born. Wow, now that’s quite a lineup! …and if your order is over $99 we’ll ship your selection for free throughout the United States. So imagine this scenario. You just moved into your new house and you absolutely LOVE the shade of green used in the dining room. Sadly the past owners have no idea who made the paint or what colors it is. Ugh! now you have to repaint the whole room with something similar. This is where MyPerfectColor comes to the rescue. We provide color matching services and if you send in a sample of the paint we will match it perfectly. It’s as easy as that. And we can provide custom color spray paint in our more than 200,000 colors. Let’s face it, not every town is lucky enough to have a store like Breslow Home Design Center, so MyPerfectColor is there to fill in the gaps. Check out our list of list of very satisfied customers which includes companies like Tiffany & Co. and Pantone. We have exceeded industry standards to such a degree that Pantone selected MyPerfectColor to create the paint they are promoting as Pantone 2019 Color of the Year! These achievements speak for themselves. 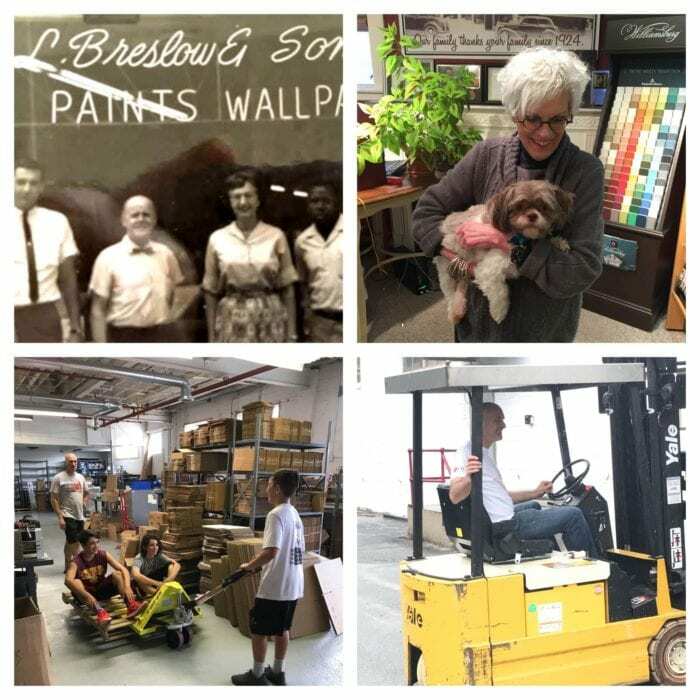 About Breslow Home Design Center: It’s Always Been About FamilyHey We’re Moving Into The Fourth Generation! The most important thing we want you to know about Breslow Home Design Center is that we’re all about family – yours and ours. When Louis Breslow emigrated from Russia he dreamed of a better future for his children and grandchildren. This is something he achieved. He built an incredible business armed with only a 6th-grade education and very limited English. A skilled painter, Louis knew the ins and outs of the paint business and passed this knowledge on to three generations. ….and if someone needed help, he was right there to assist. His integrity and work ethic formed the foundation of Breslow Home Design Center and continues to do so to this day. If you’re ever in Chester, NJ you can still find Sharon, his daughter, working alongside her son’s Jason and Dana. This is why Breslow Home Design Center has been in business since 1924. We know the value of personalized service. In our busy technology-centric world there is nothing that can replace the human touch and you get that in spades when you work with us. Louis Breslow would be proud to see what his children and grandchildren have achieved. If you’re looking for paint, window treatments, retractable awnings, pergolas, or canopies we are here to assist. Give us a call today to schedule a free consultation. Our experts are waiting to help you make the best choice for you and your family.